Welcome to My Chronicle Book Box! We are a UK based, international supplier of luxury subscription book boxes. Discover the best new releases, exclusive author content and specially commissioned high quality items with us! Reading is our passion and we love working closely with authors, publishers and top quality artisan suppliers. 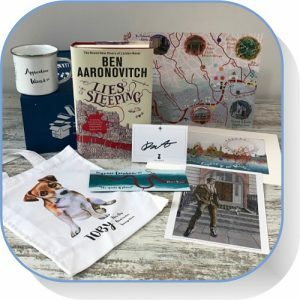 We are confident you will love our boxes, curated with books by the best authors and perfectly combined with luxury bookish gifts! 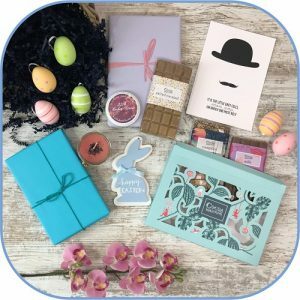 A luxury bookish treat including 2 hand gift wrapped books in a choice of genre, a Chocolate Selection Box and more! Choose two top rated, recently released paper backs and the fabric of your hand-made book cosy, as well 4 further goodies. Includes the new book by Ben Aaronovitch, Lies Sleeping as well as 7 further amazing items inspired by Rivers of London Peter Grant series. "I am totally and utterly delighted with my book box, the attention to detail was incredible as regards content and presentation. It went beyond my expectations, words cannot express my reaction upon opening my first box. Thank you to everyone involved. Highly recommended !" "Another fantastic box, brilliant book selections again and the book related gifts were both fun and useful. Going to get my parents a gift subscription for Christmas!" "Just received my first box and am actually thrilled. Not a word I usually use but opening the box made me feel all excited like a child again. The books are great and have started the first one all ready. Beautifully packaged and love the extra pieces too. Getting the authors signatures is a special treat too. It’s going to be a long wait for the next box."